We have all heard about the suggestion boxes, located at offices across the country. They are typically positioned in a corner and encourage employees to leave a note with their feedback on any given topic related to their workplace. 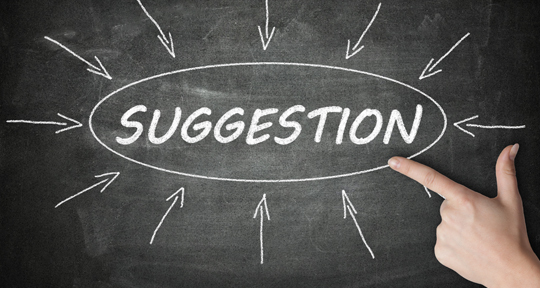 Recently, I have read a few articles that claim the suggestion box is outdated and inefficient. Why? Because it focuses too much on the problem without offering a solution, its contents often do not get addressed in a timely fashion, and they do not reward those coming forward. Instead, there are better ways to make sure your employees are heard. No two employees are exactly alike. Therefore, your communication strategy should be one that is flexible and open. One way to achieve this is by remaining positive when speaking with employees. In turn, this will allow them to feel comfortable coming forward with concerns, questions and even policy critiques and suggestions. If an employee contacts you about a sensitive manner, be sure to treat it with care and make it personal…because it is to them. If an employee confides in a supervisor or manager, it is best that they try to resolve the issue instead of handing it off to someone else to complete. By taking care of the issue, it will demonstrate to the employee that what is significant to them is likewise significant to his/her higher-up. Although this is not always feasible at first point of contact, it is important to try and resolve the issue in order to build trust. Trust is earned and your employees will value your efforts to make them feel seen as well as heard. So, whether you were using a suggestion box or implement a different strategy, remember it takes gumption for employees to come forward with their concerns, observations and opinions. Implement programs that make employees feel safe to come forward and see your staff transform.